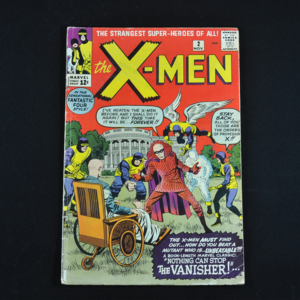 X-Men #2 (Marvel, 1963), "No One Can Stop The Vanisher!" written by Stan Lee with art by Jack Kirby. 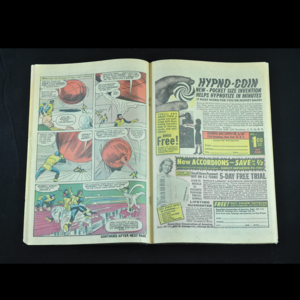 Approximately a 3.0 according to typical comic (CGC style) grading guidelines (see condition section for more details). 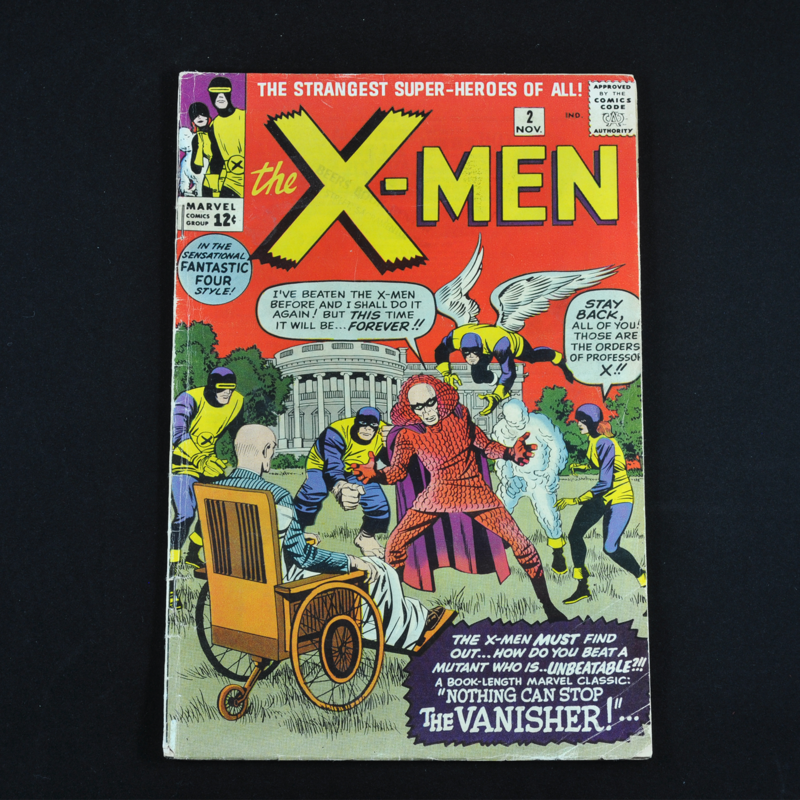 This is the second appearance of Professor X and popular X-Men heroes (Cyclops, Marvel Girl, Angel, the Beast, and Iceman) and also includes the first appearance of the villain the Vanisher. Dimensions: 10 1/4"h x 6 3/4"w. Processing and shipping within the continental U.S. $25.00 plus 1.5% replacement cost insurance. 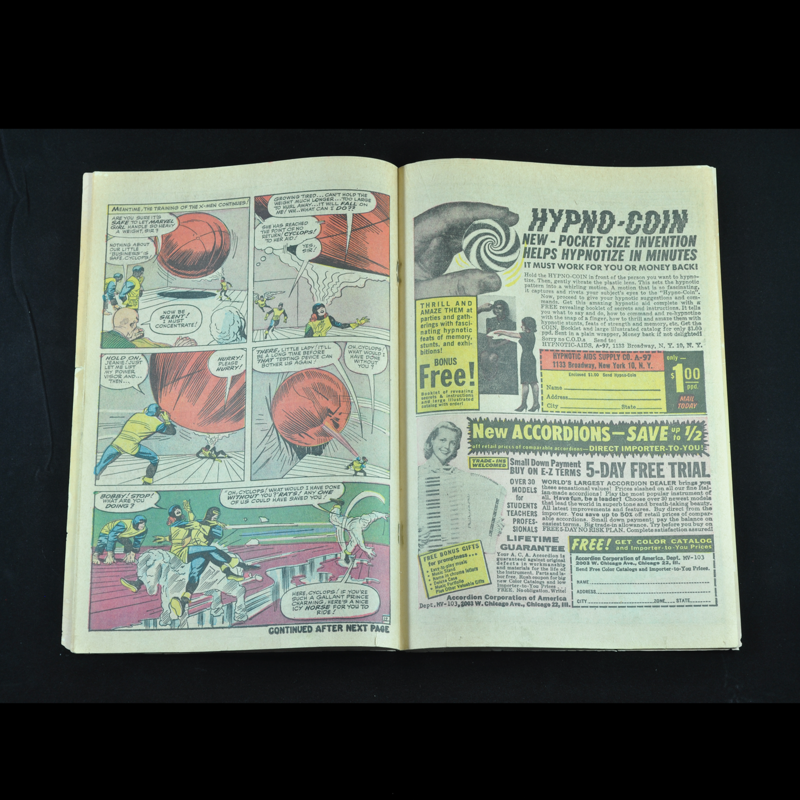 The comic book is about a 3.0 on the typical grading scale, the equivalent of "good/very good" condition. 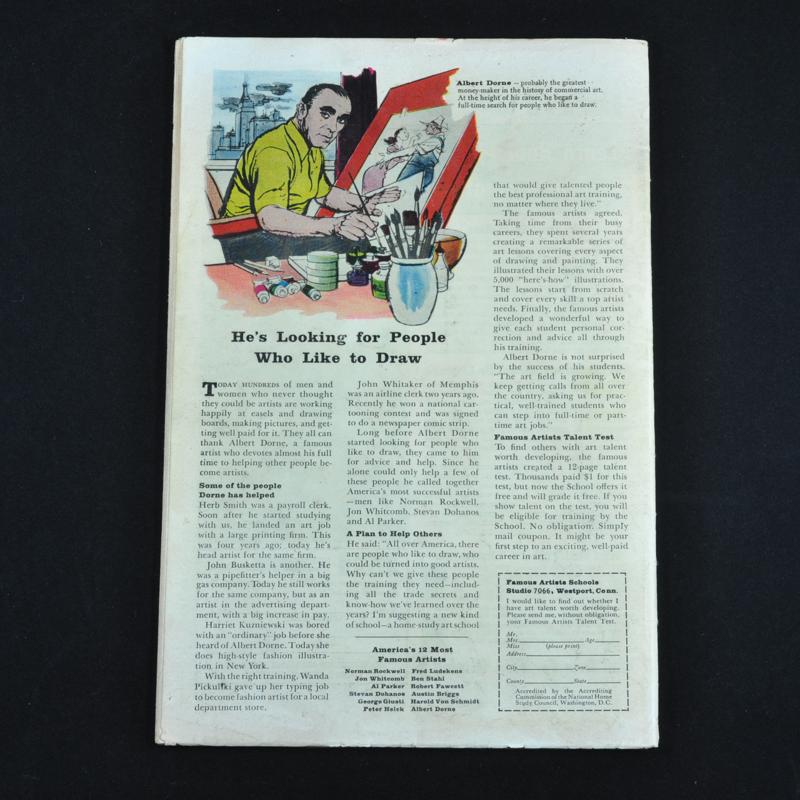 The comic overall shows signs of wear and has a number of small defects. All text is legible, the illustrations are vibrant, and the pages are off-white. Signs of wear to the cover include creasing and damage along the spine and the edges. The front bottom right of the cover is particularly creased with the corner broken off. There are some light markings in black across the title and the surface of the reverse is somewhat dirty. 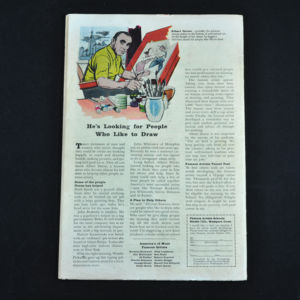 All pages (including advertisements) are present and whole.